WIFI 1460AM is a regional radio station located in Burlington, New Jersey. Our 5000 watt broadcast signal covers a listening audience of over one million people from Philadelphia to the Jersey shore. The majority of our listeners are between the ages of 24 and 62. WIFI AM 1460 also streams live on the Internet at WIFIAM1460.com and can be heard around the globe on your computer, an Internet Radio, or even your 3G capable phone. WIFI 1460's management encourages all types of programs as long they comply with FCC regulations and common decency. WIFI AM 1460 currently hosts programs that cover a wide variety of topics which include: automotive maintenance, consumer affairs, law, sports, movie reviews, politics, comedy, music, and religious or spiritual discussions. If you have an interesting show idea, we would love to hear about it and so would our listeners!!! Our 5000 watt AM signal originates from our transmitter in Florence, NJ. Our signal can be heard from west of the Delaware River all the way to the Jersey Shore as shown on the map below. Of course our Internet stream is heard live around the world and several of our hosts have received calls from as far away as India, Australia, and Japan. advertisers who would like to have their message heard on a major market radio station (Philadelphia is the 6th largest radio market in the USA). Our marketing and sales staff will work directly with you, the advertiser, to guarantee your spot is completed with nothing less than total professionalism. 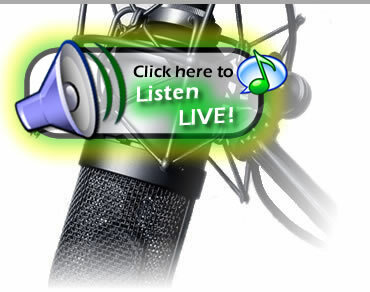 Advertising can be produced several different ways: as pre-recorded ads, live reads, or live remote broadcasts from your facility. Our on-air studio can accommodate as many as four hosts and four additional studio guests, plus three simultaneous callers. Music can be played using MP3, CD, cassette or even your own laptop computer or iPod. We also have a state of the art digital production facility which is available for you to use while creating advertising spots, show promos, bumper music, interviews, or pre-recorded shows.